Hubby's feeling much better (yay! ), so we ventured out after dinner this evening to check out a new exhibit. WATERLICHT is an immersive light installation that simulates a flood to draw attention to rising water levels. 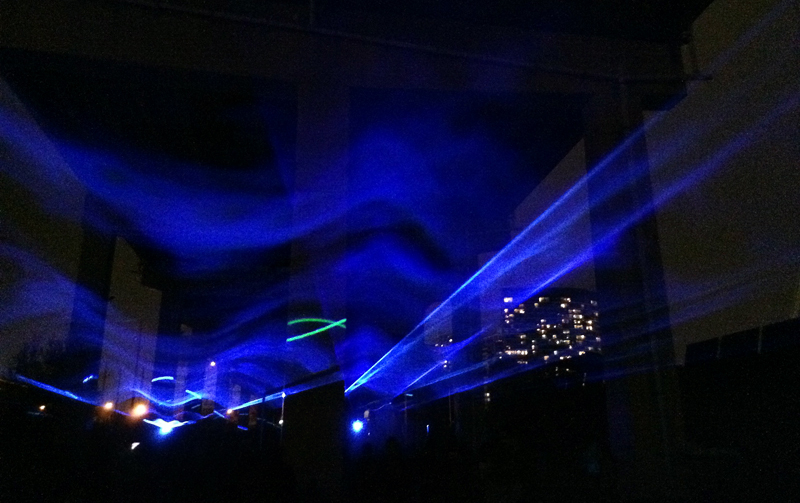 Designed by Dutch artist Daan Roosegaarde, WATERLICHT can be viewed at The Bentway this weekend only, from 7:00pm to 11pm. It's well worth a visit if you're in the area -- the exhibit was fascinating and much more stunning in real life.